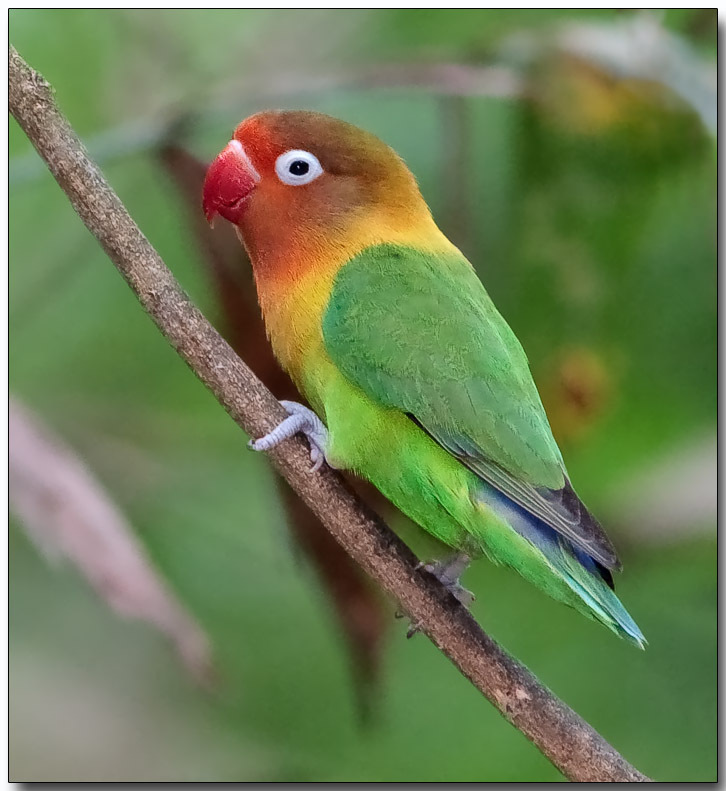 Fischer's Lovebird are native to a small area of east-central Africa, south and southeast of Lake Victoria in northern Tanzania. In drought years, some birds move west into Rwanda and Burundi seeking moister conditions. They live at elevations of 1,100-2,200 m in small flocks. They live in isolated clumps of trees with grass plains between them. The population is estimated to be between 290,000-1,000,000, with low densities outside of protected areas due to capture for the pet trade; export licenses were suspended in 1992 to halt any further decline in the species.